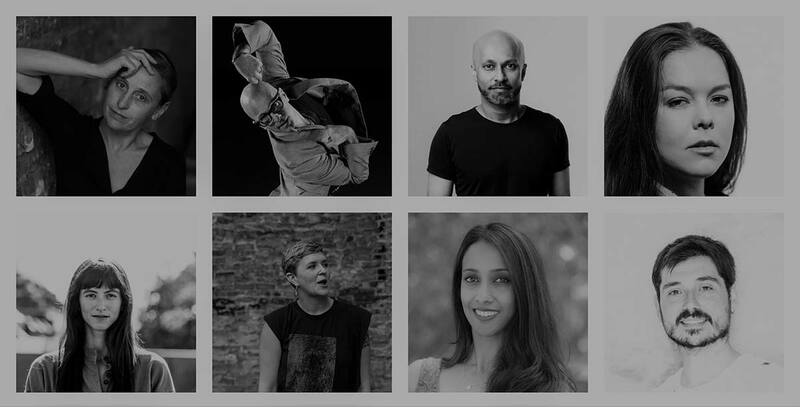 We are excited to be celebrating Dance Umbrella’s 40th anniversary in 2018 by launching Four by Four, a campaign to build a new commissions fund for the next generation of talent. 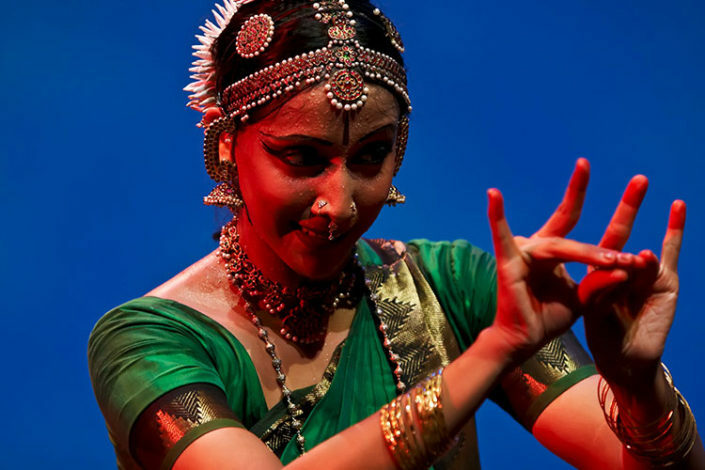 Dynamic young artist Mythili Prakash is making waves in the field of Bharata Natyam worldwide. 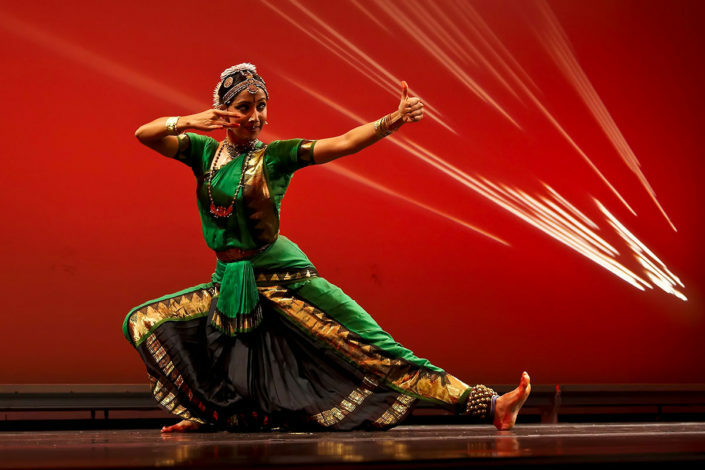 Born and raised in the US, she grew up in an environment filled with dance and music, under the watchful eye of her mother and teacher dance exponent Viji Prakash. 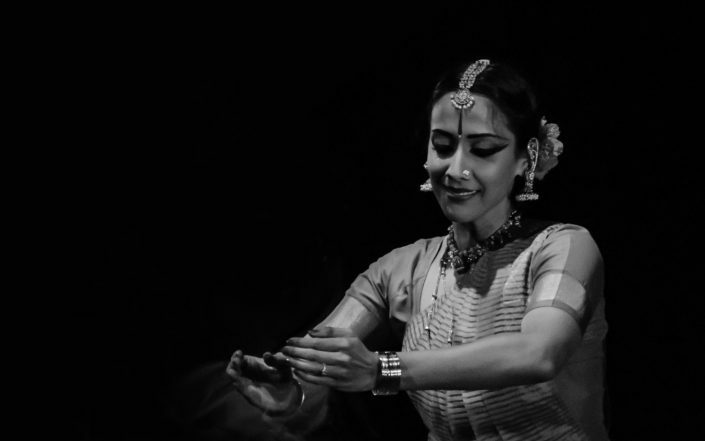 Mythili began her performing career with her solo debut in India at the age of eight and has since performed extensively in prestigious venues and festivals throughout the world. She has studied with several legendary stalwarts from India and is now under the mentorship of India’s acclaimed master Malavika Sarukkai. 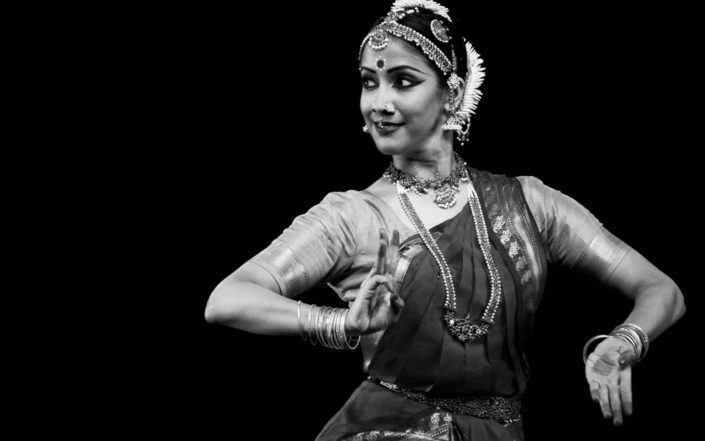 …watching the Bharatanatyam dancer Mythili Prakash on Saturday at Symphony Space, I had the luxurious experience of losing track of time, of forgetting about the future. What causes this rare phenomenon? Is it the dancer’s immersion in her own present moment, so strong as to pull us in?